Welcome! 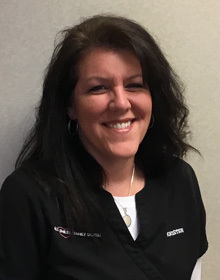 I have been a hygienist since 2011, and have been blessed to be a part of All Smiles Family Dental since 2014. My primary functions are to gather important information for Dr. Nymberg, to educate our patients on their dental health, and to help keep your teeth and gums clean. But know at the same time, we all share the same passion for our patients. You are much more than a set of teeth to us. Our greatest goal is to ensure that we never get too focused on just the teeth, but rather to never lose sight of what really matters—the person. All Smiles feels more like family than just a workplace as a result. This is what definitely sets us apart—the best part of our job is YOU! I have a wonderful husband, Samuel. We have two dogs that we dearly love, and we are excited to welcome our first child in July 2016. I love spending time outdoors, gardening, crocheting, sewing, making soap (! ), and reading. Welcome to All Smiles! I am the orthodontic assistant for our wonderful office. I have been in orthodontics since 2004, and with Dr. Nymberg since 2015. Providing braces through a general practice office gives us a unique and valuable opportunity to manage the health of the gums and teeth throughout the orthodontic process. Our patients feel confident knowing that we can keep track of all phases of their oral health. Besides, it is incredibly convenient to do it all in one office! Dr. Nymberg, my co-workers, and I really have created a family-like environment here. We are never short on laughter and sharing. We have a very special group care deeply about our patients, as well as each other. That is a rare and special thing to find in health care these days. At home, I spend time with my two amazing boys, Carrick and Cahlen. We love anything outdoors and watching Saturday morning cartoons in our PJs. Hi, it's nice to meet you! 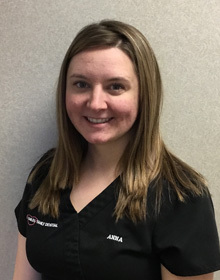 I am a hygienist at All Smiles, and have been since graduating from the Ohio State University in 2007. I provide cleanings, radiographs, oral cancer screenings, and oral hygiene instructions. The best part of my job is getting to know the wonderful people who come here! From three to 99, they are all unique, and I enjoy hearing their stories, and sharing mine. I also love my co-workers; we are all so very close. We are family to each other, much like our patients. After work, my husband Matt and I enjoy working out and spending time with friends. But we especially relish our time with our two children, Addison and Keegan. 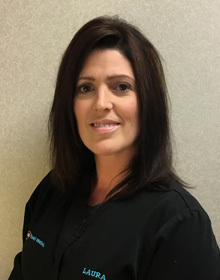 Hi, I am one of the hygienists working for All Smiles Family Dental. I graduated from the University of Cincinnati, Raymond Walters College in 1987 and have been with Dr. Nymberg since 2011. 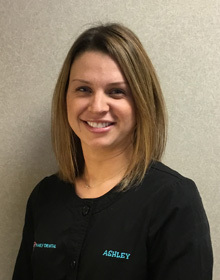 As your dental hygienist, I will partner with you to give you the best oral health you can have, and along with my co-workers, offer you the best overall dental care available. As with my others co-workers, it is my pleasure to bring this to you with a friendly smile and optimal comfort! We welcome you into our family. Outside of the office, I enjoy baking, boating, camping, tennis, swimming, and cardio classes. My husband Steven and I have two children, Emily and Zachary. Hi and welcome to our special practice! 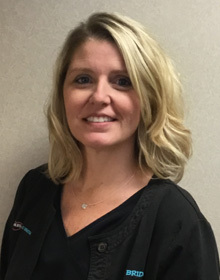 As a hygienist here since 1999, I provide cleanings, radiographs, oral cancer screenings, and oral hygiene instruction. I feel the more our patients know about good home care, the more likely they will enjoy optimal dental and overall health. I like to help our patients take an active role in their own oral health. Most of all, I value the relationships that we develop with our patients, as they are part of our family here. Building genuine friendships with our patients is what our practice is all about. It's what sets us apart and is the most satisfying aspect of my job. At home, my husband Shannon and I have a son Hunter and daughter Cadence. I enjoy scrapbooking, archery, reading, and spending time with my family. 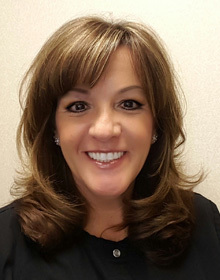 Hi, I am the insurance and financial coordinator for our wonderful practice! I genuinely love helping people get the most from their insurance and creating financial plans that work for their budgets. It may sound peculiar, but it really is a fun and gratifying game for me! I believe nobody should go without needed dental care, and I help make sure that doesn't happen. I genuinely enjoy working hard to make sure our patients receive the best possible value. I've been at All Smiles since 1999, so you might say that I've gotten pretty good at it. The most satisfying aspect of working here is the relationships, both with our patients and between co-workers. It's one thing to be good at what you do, but it's another to be good to others while you're doing it—that's who we are. We really have the best team ever! Outside the office, I enjoy bowling and spending time at my property in Kentucky. I also have two grown sons who keep me very occupied. Hello and welcome to our practice! 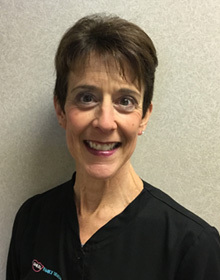 I have been in the dental field since 1985, and have been work as an Expanded Function Dental Assistant (EFDA) since 2002. EFDAs are licensed to place fillings, take X-rays, adjust crowns, and many other tasks. 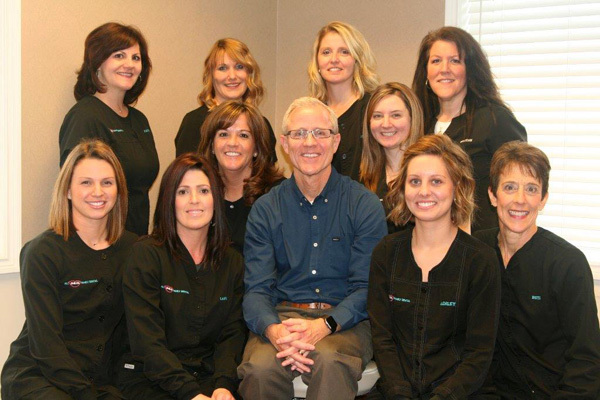 I joined Dr. Nymberg and his wonderful staff in 2014, and feel very blessed to be part of this caring dental team! My family consists of my wonderful husband Jerry, his daughter Jessica, and my sons Jacob and Brennan who both proudly serve in the United States Air Force. In my free time I enjoy traveling, spending time with my family, and playing with my Labradoodles Rory and Piper. Welcome to the practice! I am an Expanded Function Dental Assistant (EFDA). 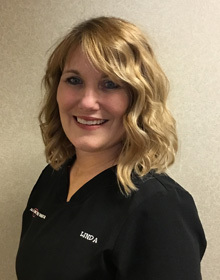 As an EFDA, I am licensed to place fillings, take X-rays, adjust bites, and perform a variety of other functions. 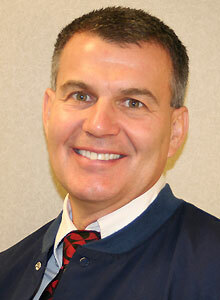 I have been in the field since 1997 and with Dr. Nymberg since 2006. We are very detailed and precise in our work here, so I've always valued the constant challenge to exceed expectations. My family includes my two children, Kyle and Ben. Our dog is a lab and shepherd mix named Gracie. Hello! I've been a hygienist at Dr. Nymberg's since 1995. So, in a staff full of long time employees, I hold the ranking for the longest tenure at All Smiles, and still going strong! As with the other hygienists, I provide cleanings, radiographs, oral cancer screenings, and oral hygiene instruction. I love working in such a fun practice! We all laugh a lot and love making our patients feel at ease and happy. Through all the years here, I have discovered that being honest and compassionate with our patients, and with co-workers, is what is most important to me. Nothing tops real relationships. That, coupled with the best technical care available, makes me proud to work here, and makes our patients very happy. Now that we are empty nesters, my husband Doug and I are enjoying the next phase of life, spending time with each other and our silly dog. We also enjoy travel and going to the gym—it keeps us healthy and sane. Hi! I work at the front desk, so I look forward to greeting you when you arrive! I work primarily as a scheduler, but I also wear many other hats. I've been with Dr. Nymberg since 2011, which is when I broke into the dental field. I think you will love the way we treat every person that comes through our door—you included. I believe our genuine care for every one of our patients, as well as each other, is the difference between ours and other offices. My husband Mike and I have two children, Brooke and Mikey. We also have two dogs. I love spending time with my rather large extended family. I also enjoy watching my kids' sporting events and going boating. I perform all the root canals in Dr. Nymberg's office. This unique service allows his patients to receive this treatment in a familiar, friendly environment. Also, because I limit my work to performing root canals, Dr. Nymberg's patients are assured of receiving the best possible outcome. I am committed to providing this service in the most caring, gentle manner possible. Consequently, a root canal done here is not a process to be feared. My profession isn't one that most people can see. They can't admire the dental surgery we perform on their teeth, but they do know that they came in with pain and they leave feeling better. I help patients to keep teeth that they might otherwise have extracted. It makes me very happy to be able to improve their quality of life. For my dental education, I spent eight years studying at the Ohio State University. Although my formal education is complete, I am always looking to learn more about dentistry through continuing education courses and seminars. This extended knowledge helps me to ensure our patients are receiving the most efficient and comfortable treatments and dental care available. I’ve been practicing dentistry for more than 24 years and still love it. 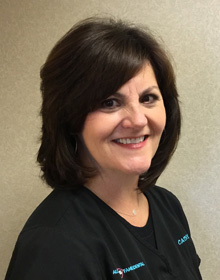 Patty is my dental assistant, and she has worked with me for 15 years. 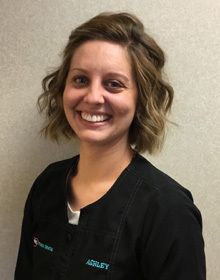 She is a wonderful asset to our practice, and our patients love her friendly and outgoing demeanor. I love that every root canal is totally different and presents a unique challenge. But the best part of my job is simply getting to know our patients on an individual basis. The more I know about them and their lifestyle, the better I can understand their oral health and how to improve it. Our highest priority here is helping people live healthy, happy lives! I grew up in Columbus, and love being a part of the community in Morrow. My wife Jill and I have two daughters named Danielle and Jolie, and one beautiful granddaughter, Olivia. At home, we have many pets, including llamas, geese, peahen, seven dogs, and a cat! These days, Jill and I spend all of our free time with our family and at our farm. I am also a former Rotary Club President and a member of the Optimist Club and the Tipp City Mum Festival Committee Chairman. When I have free time, I enjoy traveling the world with my wife.